Growth marketing is a buzzword that is thrown around frequently. New startups, specifically tech and software companies, often hire growth marketers or growth hackers to help them improve brand recognition, SERP rankings, and overall visibility in crowded markets. Many times, though, growth marketing seems to be a lot of empty filler of ‘get-rich-quick’ tactics. But there is one clear growth marketing strategy that is a must for new companies: leveraging online review sites. In a survey of B2B buyers, 52 percent of respondents said that online product reviews are a must-have item when researching new products. Before buyers have decided on a specific product, they’re using online learning resources and blogs to educate themselves on the industry itself. Think about this in buyer’s journey terms. Buyers researching middle-of-the-funnel terms, such as “CRM software,” are visiting B2B software review sites to determine what type of software they need to solve their problems, and which product is best for them. Many times buyers are ending up on review sites even further up the marketing funnel for broader education topics such as “what is a CRM.” From there they are learning about the topic of CRM software as a whole. Many times buyers are going through the entire buyer’s journey (education, identifying the problem, making a decision) and choosing a specific product before they ever even go to a company itself. Smart growth marketers are taking advantage of this. The main reason? Online review sites are one of the best inbound marketing strategies. Here’s why. Online review sites provide an incredible tool for inbound marketing. 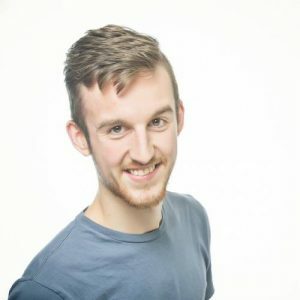 Let’s look at an example of someone who is searching for a social media management software tool from the perspective of a social media management company. We’ll use Hootsuite. A simple Google search for Hootsuite brings the company up as the first result. That’s not surprising, but that is a bottom-of-the-funnel term. Most people who are searching for Hootsuite have already made their buying decision, or they’re in the final stages. Let’s take a step back in the buyer’s journey and up the funnel. When searching the term “Hootsuite Reviews,” Hootsuite is nowhere near the top of the search results. Three of the first five organic results are review websites. This is important: remember that more than half buyers said product reviews were a MUST in the buying process. That doesn’t even include the responders who said reviews were still considered. 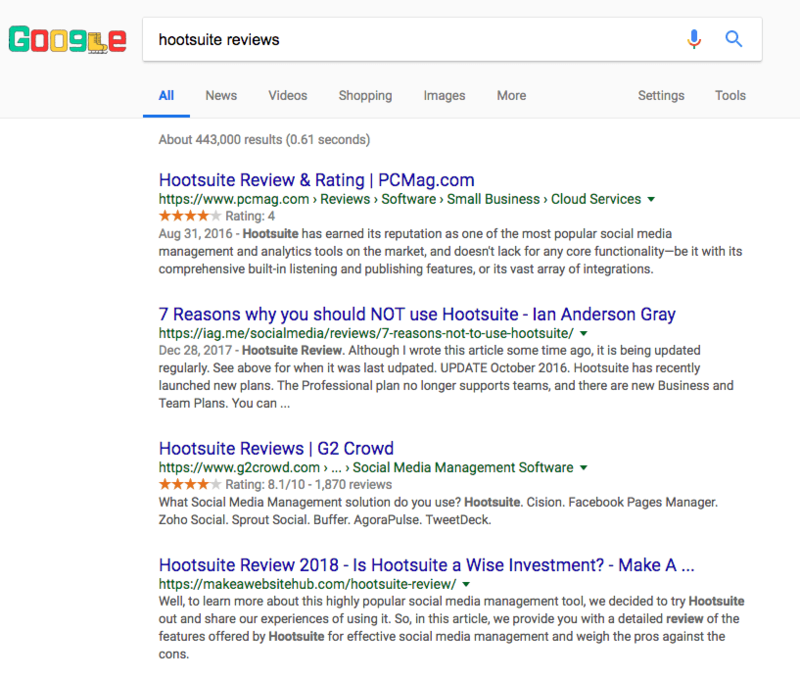 Those searching for “Hootsuite Reviews” are still in the buying process, and that is a valuable keyword for Hootsuite that it isn’t winning. 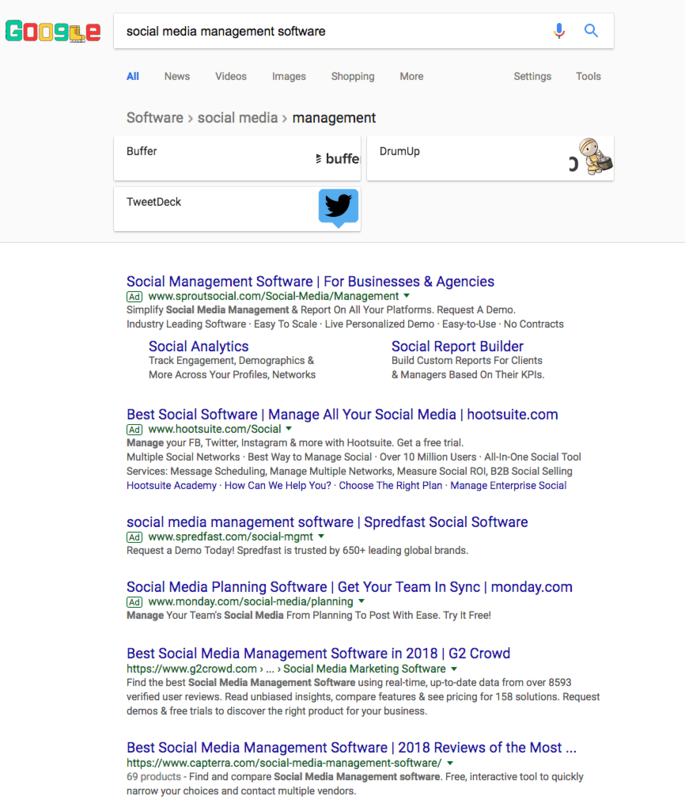 While a few ads appear, the first two organic search results are review websites. We’re even earlier in the buyer’s journey where the buyer isn’t even necessarily considering specific products, and review websites are still what buyers are finding. These terms are highly valuable to Hootsuite, but Hootsuite isn’t winning those search results. But with review sites, Hootsuite doesn’t need to win. On review sites, Hootsuite is highly rated and its reviews are mostly great. Buyers are landing on review sites and learning about Hootsuite from real users, then coming to Hootsuite as very qualified leads. Hootsuite doesn’t have to spend the time and effort on those difficult-to-rank-on keywords, as long as it has a well-thought-out review plan from its users. Even if Hootsuite spent its resources on those keywords, it may never be able to claim top spots, as Google understands that users value the third-party independence of review sites. A less direct (but still powerful) result of product review sites is the sheer visibility they can provide products in a marketplace. Let’s say you are a new social media management software startup just going to market. New software companies should get their products listed on review sites as soon as possible. The direct and instant benefit of this is that doing so provides powerful link backs from high domain authority websites. A longer-term benefit is brand recognition. Having a new company name mentioned alongside the likes of market leaders would do wonders for the brand. At the start with no reviews, buyers will probably not consider your brand over the market leaders with hundreds of reviews. But being listed alongside these large brands gives new companies instant credibility, particularly when you begin to get high-quality reviews from customers that love you. The brand is on a respected review site next to respected competition. The listing alone puts the brand on the same level as the big players in the space. Growth marketers can push their brands to new heights quickly with these tactics. Further down the road other benefits will come from these marketing tactics, such as brand advocacy and improvements in the product roadmap from real-user feedback, but these are the main reasons new software companies and marketing departments should be leveraging online review sites to hack their company’s growth.